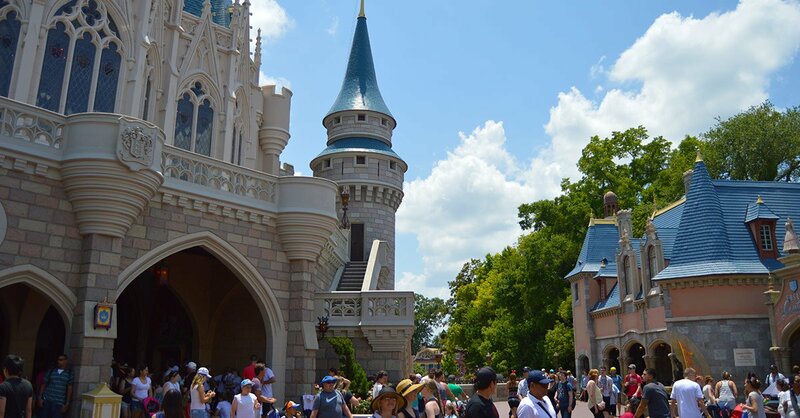 There is one part of every Disney vacation that we all hate to think about – our budget. Sure, it’s fun to dream of staying in the Grand Floridian and do all of the VIP back stage tours that Disney has to offer, but that just isn’t feasible for most of us. When planning a vacation, one of the most important things to remember is to stick to your budget. You don’t want to come back home wondering how you’re going to pay the electric bill the following month! Here are some simple steps on how to set a realistic budget for your Disney trip. 5. Take a look at your monthly expenses – First and foremost, you cannot go on vacation without knowing that it isn’t going to break the bank. Take a look at your expenses such as bills, groceries, gas and food and factor in any upcoming events such as a birthday or anniversary. Once you have all of that figured out, think about how much money you bring home each month and figure out what you can risk spending on a trip. If your budget is small, don’t worry! There’s plenty of ways to do a Disney vacation. Having a set number and sticking to it is going to be your foundation for the rest of your trip planning. Be honest with yourself! You don’t want to say that you can spend $5,000 on a trip when really you can afford have of that. 4. Figure out the time of year you want to go and for how long – Now that you have an idea of what your budget it, consider what the best time of year is for you to go, and for how long. Can you afford peak summer times, or are you leaning towards off peak times? Are you planning on staying for a long weekend or a full week? The number of days you wish to stay will affect the ticket choices you have so choose wisely. 3. Choose your accommodations within reason – Okay, so you know how many days you would like to go for and you know how much money you can spend, so now it’s time to pick your resort. If your budget is tight, consider staying off property. The room rentals are often much lower than you can find on property and many hotels include continental breakfast as well. If you do stay off property, you will likely have to rent a car so remember to factor that into your costs. If you are able to stay on property, choose the resort that works best for your budget. The resorts are broken down into three tiers: deluxe, moderate, and value. Research the resorts and choose the one that is right for your pocket! 2. Figure out what activities are most important to you and your family – speak to your spouse and your kids and find out what one thing they just have to do is, and figure out if you can work it into your budget. Choose wisely though! Would you rather spend $125 for a 20 minute ride in an amphicar for your family of four, or pay $60 for your family to ride in the hot air balloon Characters in Flight in Downtown Disney? Be willing to compromise with them. Perhaps instead of a dinner show, you can do a character breakfast. Research the costs and incorporate the activities that mean the most to your family. Without a doubt, the best way to save the most money on your Disney vacations is to plan and book your next Disney trip with an Authorized Disney Vacation Planner you can trust like Mickey Travels. They’ll help you get the best price for your vacation, share expert advice and their services are totally FREE! It’s genius!